We have several local girls all coming to compete, and they are hoping to have lots of fans cheering them on, especially since this is their only local event. 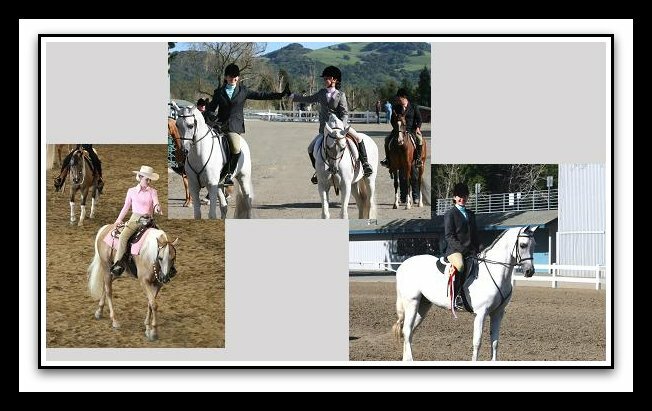 The show offers classes in Western, English, Hunter, Native Costume, Sidesaddle, Halter, Sport Horse, Reining etc. There will be a silent bid auction for miscellaneous items ranging from Horse Gear to Art to Jewelry to Wine. This is a great family event. Hope to see you there! Congrats ladies and good luck this weekend as you all kick of the 2010 Arabian Horse Show season. May you all ride well and most of all have fun! Be sure to give your horses lots of hugs and kisses.